How good does an All Star have to be to be underrated? We were going to suggest Jason Kipnis before settling on Daniel Murphy. Few seem to notice how good Daniel Murphy is offensively. This is for at least two reasons. First, the Mets' offense has been largely irrelevant this decade. Second, when thinking of offensive second basemen, most think of Cano, Pedroia, Utley, Kinsler, and Matt Carpenter. People already love Ben Zobrist; he's not underrated anymore. Even Brandon Phillips and Neil Walker seem to have more fans than Daniel Murphy. Omar Infante, Brian Kenny's choice, has a better slash line than Daniel Murphy. Infante is better in the batter's box, but his base running is not on par with Murphy's, making him a slightly less effective offensive player. 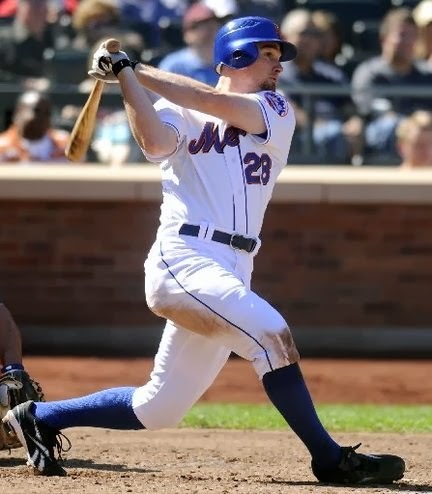 Among all players who played at least 24% of their games last season at second basemen, Daniel Murphy ranked fourth in hits (188) and stolen bases (23), and fifth in RE24 (see below). Please don't get me started on Darwin Barney. Good choice by Mr. Kenny. Everth Cabrera, who has lots of speed and a .355 OBP last season, was under consideration. Having scoured free agent lists and team rosters from around the globe in search of undervalued third basemen for our last post, we feel most confident in agreeing with Brian Kenny at this position. Kyle Seager is a fine choice. Fans around the country are not very familiar with him, but he's probably too good for even the Yankees to be able to trade for him. Again, we agree with Mr. Kenny. At first, it looked like Jason Castro is the most underrated, but his under-the-radar offensive production falls just shy of Lucroy's combination of underrated overall game, particularly with his pitch framing prowess. Sure, he's widely accepted as the best player in baseball. How can he also be underrated? It seems that, as a whole, we are taking Mike Trout's brilliance for granted. His rookie season in 2012 was so spectacular that we expected his numbers to crash in 2013, and he'd still be one of the best players of the game. Remarkably, Trout matched his 2012 performance with an equally stellar 2013 campaign. How rare is this? Mike Trout leads every offensive baseball player ever, through their age-21 seasons, in Career RE24 and Wins Above Replacement. Hall of Famer Willie McCovey had a 188 OPS+ across 219 plate appearances in his age-21 rookie season. Besides McCovey, Trout has the highest OPS+ among all offensive players with at least 200 plate appearances before the age-22 season. Basically, Mike Trout is the best player ever. Shane Victorino had an underrated season last year. Victorino missed some time, and most fans outside of Boston did not realize that he bounced back after a poor showing in 2012. That being said, Shane Victorino has a lot of fans, from Boston to Philadelphia, and all the way to Hawaii. 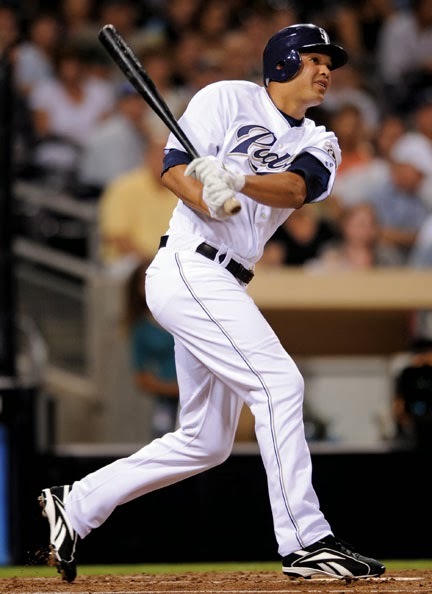 Will Venable is much lesser known. A big key to his success last season, when he hit 22 home runs and stole 22 bases, was Venable's ability to hit lefties. Besides his rare combination of power and speed, Venable's .484 slugging percentage, playing half his games in San Diego, is most impressive. All in all, we agree with Brian Kenny on half of his selections. I wonder what he thinks of my Moss, Murphy, Quentin, and Trout substitutions? Thanks for reading. How does your most underrated team look?